Charged with Identity Theft in Southern California? 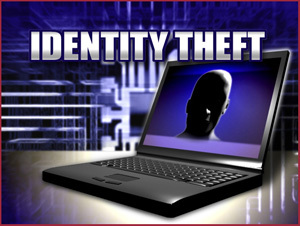 Identity Theft in California is the one of the fastest growing crimes. If you have been accused or charged with committing identity theft, call an experienced Southern California criminal attorney right now. Call one of the most respected criminal defenders in Southern California: Vincent W. Davis with 26-years of personal real world experience and 60-years of combined legal experience at your disposal. This is no time to trust your future to an inexperienced attorney. Identity Theft charges are extremely serious and prosecutors take pride in their convictions. Many people make foolish decisions as some point in their life. Some think that Identity Theft is a fast way to pay some bills and that the person whose identity they are using won’t really be harmed once that person proves to the credit reporting bureaus, the bank, the store, or the online store, such as Amazon, that they did not get the money or property in question and the charges will be reversed. If you are wrongly accused or dead-bang guilty of the deed, Vincent W. Davis believes that everyone, innocent or guilty, is entitled to aggressive legal representation. And, no, it does not matter if you are fighting Federal charges or State charges, Mr. Davis can defend you for the best possible outcome. Identity theft offenses are considered “Wobblers,” and they may be filed as either a misdemeanor or a felony depending on the unique circumstances of the case or your past criminal record. That said, the State of California and the Federal government are seriously cracking down and often filing felony charges on identity theft cases involving false or counterfeit documents that used government documents such as fake, altered, or stolen social security cards, drivers licenses, and birth certificates. Identity Theft Charges are Serious! Identity Theft is considered to be a very serious crime, and like credit card fraud, identity theft charges almost always come with other more serious charges such as conspiracy, wire fraud, or bank fraud. When facing serious state or federal offenses of this nature, it is critical to get legal representation from a criminal defense lawyer who is familiar with the defense of financial crimes as well as the state and federal court systems. Federal crimes, in particular, generally carry stiffer fines and prison time and you absolutely need an aggressive criminal defense lawyer advising you and working earnestly on your side. If you are under investigation for Identity Theft, do put off contacting a criminal defense lawyer. Also, do not answer questions by investigators by phone nor in person without first getting an attorney to advise you exactly how to proceed. If you are being contacted or know that you are under investigation, it is likely that you are considered to be a the key suspect. The purpose of questioning you is to build their case, and secure additional, incriminating information they need to actually arrest you. After all, that’s their job. If you or a loved one is accused or has already been charged with committing identity theft, immediately pick up the phone and review the details personally with Criminal Defense Attorney Vincent W. Davis. Mr. Davis has 26-years hands-on experience defending the accused in Southern California and welcomes your personal call 24/7.